Exposure to intense sounds can cause a permanent or temporary hearing loss. Some anthropogenic sounds may cause temporary threshold shift (TTS), depending on a number of variables including the frequency and intensity of the sound, duration of exposure, etc. (see How do you determine if a sound affects a marine animal?). The physiological basis for TTS can involve reversible damage to the hair cells of the inner ear. Fishes are susceptible to TTSPopper, A. N., Halvorsen, M. B., Kane, A., Miller, D. L., Smith, M. E., Song, J., … Wysocki, L. E. (2007). The effects of high-intensity, low-frequency active sonar on rainbow trout. The Journal of the Acoustical Society of America, 122(1), 623–635. https://doi.org/10.1121/1.2735115. For example, fathead minnows experienced TTS after exposure to playback of boat engine noise at 142 underwater dB for 2 hoursScholik, A. R., & Yan, H. Y. (2002). Effects of boat engine noise on the auditory sensitivity of the fathead minnow, Pimephales promelas. Environmental Biology of Fishes, 63, 203–209. https://doi.org/10.1023/A:1014266531390, whereas goldfish exhibited a TTS after exposure to 166-170 underwater dB of white noise for 10 minutesSmith, M. E., Kane, A., & Popper, A. N. (2004). Acoustical stress and hearing sensitivity in fishes: Does the linear threshold shift hypothesis hold water? Journal of Experimental Biology, 207(20), 3591–3602. https://doi.org/10.1242/jeb.01188. In both studies, hearing returned to normal, but the length of time required for recovery varied as a function of the frequency of the sound and duration of exposureScholik, A. R., & Yan, H. Y. (2001). Effects of underwater noise on auditory sensitivity of a cyprinid fish. Hearing Research, 152(1–2), 17–24. https://doi.org/10.1016/S0378-5955(00)00213-6. It is likely that the actual sound levels needed to produce TTS will vary widely, and even differ by species. Physical hair cell damage has been observed in several fish species following exposure to intense sounds. Hair cells were lost in goldfish after exposure to white noise at 170 underwater dB for 48·hours and monitored for 8·days after exposure. Scientists found that the hair cell loss was accompanied by TTS. However, after 7 days hearing thresholdsreturned to normal and the damaged hair cells started to be replacedSmith, M. E., Coffin, A. B., Miller, D. L., & Popper, A. N. (2006). Anatomical and functional recovery of the goldfish (Carassius auratus) ear following noise exposure. Journal of Experimental Biology, 209(21), 4193–4202. https://doi.org/10.1242/jeb.02490. (a, b, c) Imagery showing epithelia from pink snapper ~18 h after exposure to an airgun. The photographs show numerous holes and ‘‘blebbing” (blistering). (d, e) Photographs from saccular epithelia of pink snapper ~58 days after exposure. Here, tissues show signficantly more damage, with a greater number of holes and greater areas of “blebbing”. Hair cells may have been ripped from the epithelia or exploded after exposure. Reprinted with permission from McCauley et al., J. Acoust. Soc. Am., 113(1), pg 640. Copyright 2003, Acoustical Society of America. In contrast to the effects seen in the above studies, caged rainbow trout, channel catfish, and hybrid sunfish exposed to a US Navy SURTASS LFA sound source (maximum received level of 193 underwater dB) for 324 or 628 seconds did not show exposure-related damage in the inner ear and other tissuesHalvorsen, M. B., Zeddies, D. G., Ellison, W. T., Chicoine, D. R., & Popper, A. N. (2012). Effects of mid-frequency active sonar on hearing in fish. The Journal of the Acoustical Society of America, 131(1), 599–607. https://doi.org/10.1121/1.3664082, while both rainbow trout and channel catfish (but not the hybrid sunfish, largemouth bass, or yellow perch) showed small TTS for several days after exposureHalvorsen, M. B., Zeddies, D. G., Chicoine, D., & Popper, A. N. (2013). Effects of low-frequency naval sonar exposure on three species of fish. The Journal of the Acoustical Society of America, 134(2), EL205-EL210. https://doi.org/10.1121/1.4812818Popper, A. N., Halvorsen, M. B., Kane, A., Miller, D. L., Smith, M. E., Song, J., … Wysocki, L. E. (2007). The effects of high-intensity, low-frequency active sonar on rainbow trout. The Journal of the Acoustical Society of America, 122(1), 623–635. https://doi.org/10.1121/1.2735115Halvorsen, M. B., Zeddies, D. G., Ellison, W. T., Chicoine, D. R., & Popper, A. N. (2012). Effects of mid-frequency active sonar on hearing in fish. The Journal of the Acoustical Society of America, 131(1), 599–607. https://doi.org/10.1121/1.3664082. Additionally, exposure-related damage was not observed when these fish were exposed to mid-frequency signals (maximum received level 210 underwater dB) for 15 secondsKane, A. S., Song, J., Halvorsen, M. B., Miller, D. L., Salierno, J. D., Wysocki, L. E., … Popper, A. N. (2010). Exposure of fish to high-intensity sonar does not induce acute pathology. Journal of Fish Biology, 76(7), 1825–1840. https://doi.org/10.1111/j.1095-8649.2010.02626.x. The duration and level of exposure to sonars in this study were much longer than would be encountered by fish exposed to sonar in the ocean. The inner ear and other tissues of some fish species, including the rainbow trout (shown here), showed no physiological damage when exposed to intense sounds associated with low-frequency (170-320Hz) and mid-frequency (2.8-3.8 kHz) sonar. Image credit: U.S. Environmental Protection Agency. Similarly, in a study to test the effects of exposure to seismic airguns, devices used in geological exploration and search for oil and gas underwater, it was found that there was no damage to the ears of five different species of fish in the MacKenzie River Delta (Canada)Song, J., Mann, D. A., Cott, P. A., Hanna, B. W., & Popper, A. N. (2008). The inner ears of Northern Canadian freshwater fishes following exposure to seismic air gun sounds. The Journal of the Acoustical Society of America, 124(2), 1360–1366. https://doi.org/10.1121/1.2946702, although several species showed TTS that recovered within 18 hours of the exposurePopper, A. N., Smith, M. E., Cott, P. A., Hanna, B. W., MacGillivray, A. O., Austin, M. E., & Mann, D. A. (2005). Effects of exposure to seismic airgun use on hearing of three fish species. The Journal of the Acoustical Society of America, 117(6), 3958–3971. https://doi.org/10.1121/1.1904386. Many species, including humans, exposed to sounds longer and louder than those that result in TTS may experience permanent threshold shift (PTS). PTS occurs when hair cells die and are not replaced. In contrast, fishes, including sharks and rays, can replace hair cells lost as a result of exposure to intense sounds or ototoxic drugsPopper, A. N., & Hoxter, B. (1984). Growth of a fish ear: 1. 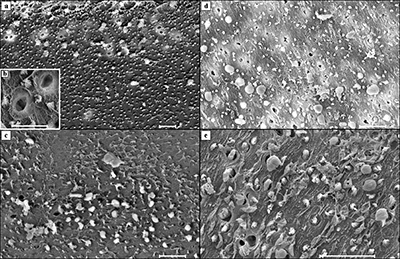 Quantitative analysis of hair cell and ganglion cell proliferation. Hearing Research, 15(2), 133–142. https://doi.org/10.1016/0378-5955(84)90044-3Lombarte, A., Yan, H. Y., Popper, A. N., Chang, J. S., & Platt, C. (1993). Damage and regeneration of hair cell ciliary bundles in a fish ear following treatment with gentamicin. Hearing Research, 64(2), 166–174. https://doi.org/10.1016/0378-5955(93)90002-ILombarte, A., & Popper, A. N. (1994). Quantitative analyses of postembryonic hair cell addition in the otolithic endorgans of the inner ear of the european hake,merluccius merluccius (gadiformes, teleostei). The Journal of Comparative Neurology, 345(3), 419–428. https://doi.org/10.1002/cne.903450308Popper, A. N., Smith, M. E., Cott, P. A., Hanna, B. W., MacGillivray, A. O., Austin, M. E., & Mann, D. A. (2005). Effects of exposure to seismic airgun use on hearing of three fish species. The Journal of the Acoustical Society of America, 117(6), 3958–3971. https://doi.org/10.1121/1.1904386Popper, A. N., Halvorsen, M. B., Kane, A., Miller, D. L., Smith, M. E., Song, J., … Wysocki, L. E. (2007). 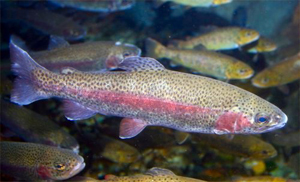 The effects of high-intensity, low-frequency active sonar on rainbow trout. The Journal of the Acoustical Society of America, 122(1), 623–635. https://doi.org/10.1121/1.2735115. Moreover, fishes add large numbers of hair cells, as well as repair and replace damaged hair cells, throughout life. For example, a small Mediterranean hake may have 5,000 hair cells, whereas an adult may have 2 million. Lastly, regeneration is correlated with a functional recovery of hearing abilitySmith, M. E., Coffin, A. B., Miller, D. L., & Popper, A. N. (2006). Anatomical and functional recovery of the goldfish (Carassius auratus) ear following noise exposure. Journal of Experimental Biology, 209(21), 4193–4202. https://doi.org/10.1242/jeb.02490. As a consequence of the ability to repair and regenerate hair cells, the likelihood of PTS in fishes is considered to be very low. Popper, A. N., Hawkins, A. D., Fay, R. R., Mann, D., Bartol, S., Carlson, T., … Tavolga, W. N. (2014). Sound exposure guidelines for fishes and sea turtles: ASA S3/SC1.4 TR-2014 ; a technical report prepared by ANSI-accredited Standards Committee S3/SC1 and registered with ANSI. Cham, Switzerland: Springer. Popper, A. N., & Hawkins, A. D. (Eds.). (2012). The effects of noise on aquatic life. New York: Springer. Le Prell, C. G., Henderson, D., Fay, R. R., & Popper, A. N. (Eds.). (2012). Noise-induced hearing loss: scientific advances. New York, NY: Springer.